Below are some frequently asked questions when entering the program. If you have any further questions, please contact the MPA office at 843.953.6690. How can I pay for graduate school? Do I have to choose an area of specialization? How are MPA classes delivered? How long will it take me to complete the MPA degree? How many enrolled students complete the program? Where is the MPA Program Office? 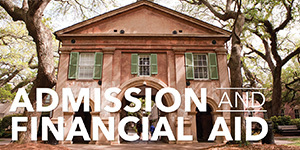 You can finance your education through scholarships, assistantships, fellowships and/or loans. There are both internal and external sources of funding available. The Graduate School offers scholarships and grants, a number of fellowships, and assistantships. 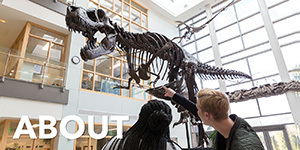 For more information on assistance visit the graduate school's funding opportunities page. 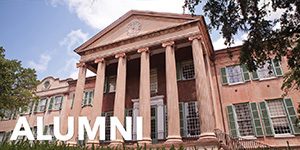 Now, applications are avaible to be completed online through the College of Charleston. To begin the application process, you must create an account. From there, you will be able to begin working on your application. You can save your application and finish it later. 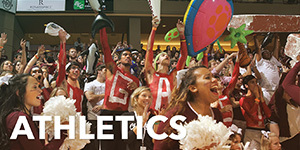 For more information, check out the Graduate School Admissions website! ﻿Do I have to choose an area of specialization? No. 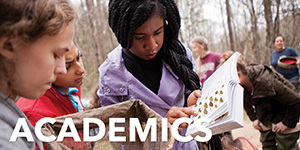 Many students decide to enroll in elective courses that provide specialized education in a specific area of study, and our program offers specialized study in the following: nonprofit management; arts administration; environmental policy and administration; and local government and urban and regional planning. As an alternative, students interested in arts administration or urban planning may decide to use electives in these areas to fulfill MPA requirements and also earn a certificate. Other students take an array of elective courses to broaden the scope of their knowledge and skills in a variety of public administration areas upon graduation. The MPA Program offers most courses in a traditional classroom setting. Students have the ability to take a limited number of elective classes in urban and regional planning and arts administration in an online or hybrid format. At this time, all core required classes are offered in the classroom. The program consists of 39 hours (13 courses). There are seven required courses (21 hours); an Internship for students who lack significant public or nonprofit work experience (3 hours); and five elective courses (15 hours). Students who qualify may receive permission to waive the Internship and in that case will take an additional elective. 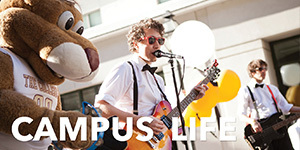 Full time students take three classes a semester (fall and spring), and generally complete an Internship the summer between their first and second year. The program can be completed in two years with continuous full-time enrollment. If a student elects to enroll part-time, the program can be completed in two and a half to four years, depending upon how many courses are taken per semester and whether the student takes classes in the summer. The program has about 50 students. Depending upon the cohort, roughly 60 percent of our students are pre-service and have not worked in public or nonprofit organizations; 40 percent are currently working, or have worked, in public or nonprofit settings for at least two years. Generally, about half of our students elect to enroll full-time. Students who enroll full-time will obviously complete the program faster than those who are part-time. Full-time students can complete the program in two years with continuous full-time enrollment, while part-time students can complete the program in two and half to four years, depending on how many courses are taken each semester. The data below show the completion rate for the cohort of 30 students who entered the program during the 2010-2011 academic year. It is important to note that the majority of students that did not graduate within two years were part-time for at least part of their graduate career. For students that are in-service rather than pre-service, job responsibilities often preclude taking two courses per semester. The program is designed to accommodate these students. ﻿﻿﻿﻿Where do your students go on to work? Our graduates go on to serve in the public sector in a variety of different capacities, securing positions in national, state, and local government sectors and the nonprofit sector. A number of our graduates also go on to serve in the private sector, often providing research and consulting services to for-profit entities. The table below presents job placement statistics for the 2016-17 graduating class. The employment categories listed are outlined by our accrediting body, the Network of Schools for Public Policy, Affairs, and Administration (NASPAA). You can find us at 14 Coming Street, Charleston, SC 29424. You can also contact us by phone at: 843.953.6690.